Now in its 17th year, the Michigan Jazz Festival shines a well-deserved spotlight on the everyday heroes of Detroit's jazz scene. Sunday's festival will feature about 150 musicians -- everything from solo pianists to big bands -- performing on six stages. 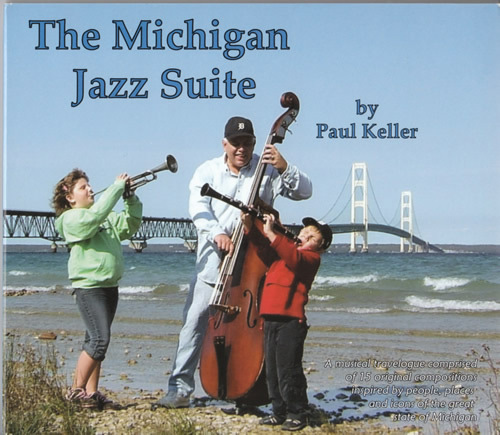 One of the highlights will be the "Michigan Jazz Suite" by bassist and composer Paul Keller. The work will be performed by his septet. The suite, a set of 15 pieces, was inspired by Michigan icons ranging from the Mackinac Bridge ("Big Mac") to the late Ernie Harwell. The latter is represented by "The House by the Side of the Road," named for Harwell's signature call when a batter took a third strike -- "He stood there like a house by the side of the road and watched that one go by." 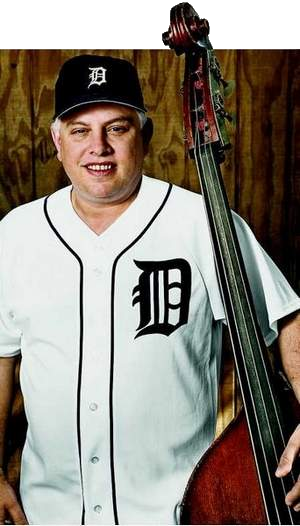 At 49, Keller is an indefatigable force, traveling the world with a slew of big names but also holding down the fort as something of the house bassist for the state of Michigan. QUESTION: The suite wasn't written specifically for the Michigan Jazz Festival, but it's a perfect match for the event, isn't it? ANSWER: Yes. I always thought in the back of the mind this would the perfect thing to perform at the Michigan Jazz Festival because the festival really honors Michigan's own fabulous regional musicians. That's what the suite is about: honoring our local regional treasures, whether they're people, places or icons. Q: How did "Michigan Jazz Suite" originate? A: I can't remember the exact muse, but they say you should write about what you know, and I know Michigan. My father is a retired United Methodist minister, and we moved around quite a bit. Even though I call Grand Rapids my hometown, I grew up in six communities. I've lived all my life in Michigan, and as a professional musician, I've traveled all over the state and played all of these beautiful places. In my mind's eye, it's a jazz travelogue of our state. Q: Were you trying to capture very specific things about these places in the music or is it a more general inspiration? A: A little bit of both. The songs are all conceived through the prism of our style of jazz, so there's lots of improvisation, and they're all instrumentals. The song about Sleeping Bear Dunes does have some strong imagery. If you close your eyes, it's got a mysterioso kind of feel, and when I listen to the music, I think of the story of Sleeping Bear -- the mother bear and two cubs -- and you can almost see mist on the water and the sand blowing. It's got kind of a haunting quality to it, much like the sand dune does. In that kind of way, some of the songs do capture the feeling of what their subject is about. Q: When you called up Ernie Harwell to tell him you had written a piece for him, he invited you and your family over to his house for lunch. What did you talk about? A: When I talked to Ernie and met him, it was one of the greatest days of my life. It was very enlightening. He told me he was a great fan of pop music and that he was a composer of a lot of popular type songs. Some of them were songs of unrequited love. You don't really think of Ernie Harwell that way. We had lunch and sat around and talked about music and baseball. He wanted to talk more about me than talk about himself. It was just like everybody says: What you saw with Ernie Harwell was exactly what you got. He was just such a great guy. He loved the record. He was very complimentary, and he loved his song. I gave him a framed copy of the song. Q: "There's Something in the Water" was written in honor of all the great jazz musicians from Detroit. A: As I travel around the world, when I tell people when I'm from the Detroit area, everybody always says: "What is it about Detroit? There must be something in the water!" I heard that enough times that it became a title. Detroit can really be proud of what it's contributed, and it continues even under economic and social duress. Jazz still flourishes here. You can't kill it. Even if there are so many fewer venues to play in, there are still hundreds of great musicians.